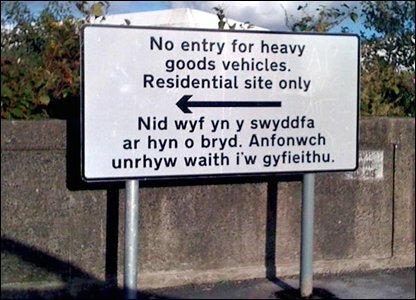 This made me laugh: the English is quite clear and easy to understand, but the Welsh underneath doesn't say the same thing. Instead is says "I am not in the office at the moment. Please send any work to be translated" as this was the automated email response the Swansea council received.